The benefits of regression therapy extend far beyond the clearing of symptoms. Often, the result is healing at all levels - physical, emotional and spiritual. 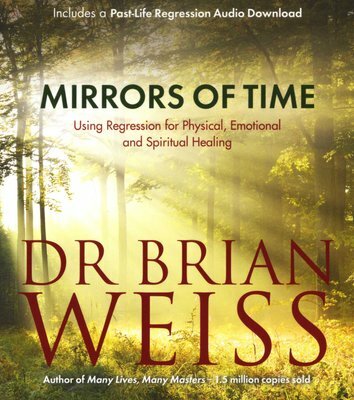 Mirrors of Time allows you to take regression therapy to the next level. Now you can go back through time by recalling past events that may have led to difficulties in the present. Through the process of remembering, symptoms diminish and a strong sense of relaxation and wellbeing often emerges. Even past-life memories can be elicited by these exercises, and regular practice will enhance your physical and emotional health and open up spiritual vistas that can bring new meaning to your life. 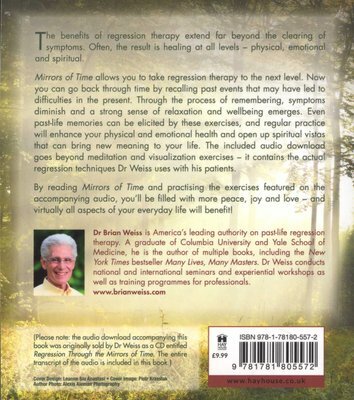 The included auio download goes beyond meditation and visualization exercises - it contains the actual regression techniques Dr Weiss uses with his patients. 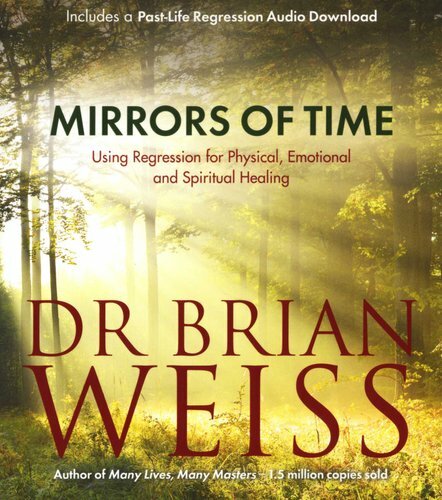 By reading Mirrors of Time and practising the exercises featured on the accompanying audio, you'll find that you'll be filled with more peace, joy and love - and virtually all aspects of your everyday life will benefit!